$112.00 - tax and shipping will be applied during checkout. International shipping rates vary depending on country and method of delivery. 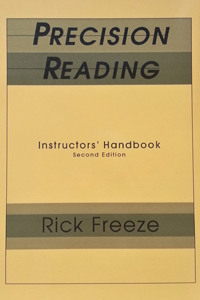 The Handbook describes how to do Precision Reading and explains why it works. 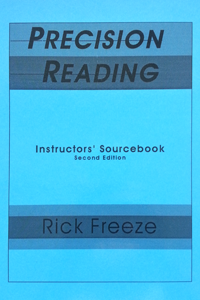 The Sourcebook contains useful resource materials for implementing Precision Reading. $56.00 - tax and shipping will be applied during checkout. International shipping rates vary depending on country and method of delivery.